On Veteran’s Day, as we gave thanks to those who have bravely served (or are serving) our country, our very own Tristen Lang traveled to The Truman for an epic night of music. 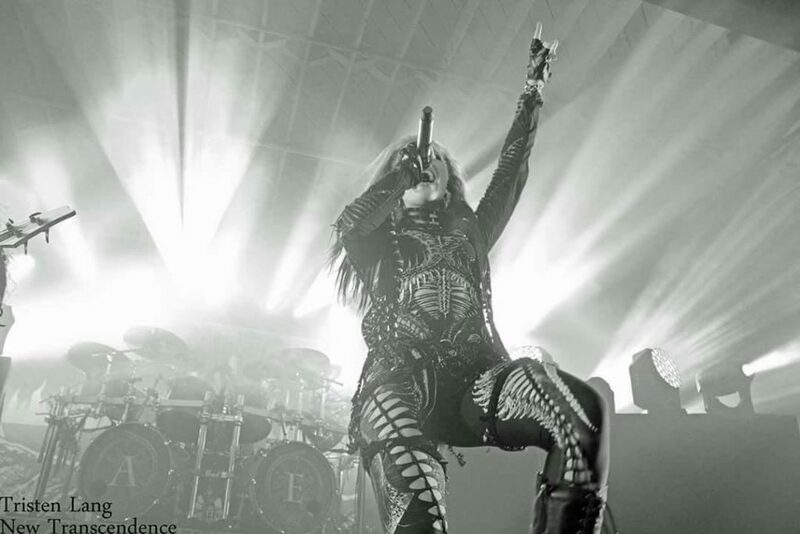 On their stop in Kansas City, Arch Enemy (Century Media), Trivium (Roadrunner Records), While She Sleeps (Independent) and Fit For An Autopsy (eOne Music) exploded with their raw and unique brands of metal. Before the show, he was led back for an interview with current Arch Enemy vocalist, Alissa White-Gluz (ex-The Agonist) and founder/guitarist, Michael Amott. The resulting interview showed that the band has a sense of humor and topics included the band’s history, their new album Will to Power and the current tour, as well as much more. Check out this New Transcendence/Tristen Lang Productions exclusive interview below and be sure to follow Tristen’s social media channels for much more in the coming months! We’d also like to recognize a true legend in the scene, Mr. Steven Seuferling, whose attendance marked his 200th show of the year! Dedication to the music scene like that is a rare find, indeed!